SEF, apex predators generally weigh the odds in their favour before they strike. If the gif below rings true and I don’t think it’t be too far off the mark, I say God Help You because no knife will. The real world is not far from the above scenario ... to say the least. A determined/attacking shark is something to behold. Its a bit like those carrying a knife to hold of wild dogs attacking .... just X 100. There is the Wasp Injection Knife but Id hate to have an attacking shark come that close. Diver jams spear gun into mouth of shark. Happens very fast. Must have been a nasty experience. Has anybody used a Spyderco Salt knife to cut up a shark for cooking purposes ??? Shark skin is like sandpaper. Good luck if ANY knife is used on a shark for self defense!!!! I always thought divers/surfers carried knives as tools, like if they got hung up on rope or something. That said not sure a folder would be great for something like that, but if you had to it is probably better than nothing. A guy here in my state got attacked by a wild animal while hiking and killed it with a buck folder. But it was a coyote. "A fool's blade may be sharper than his brain"
Pretty much any knife would be better than nothing. I'm sure plunging 3 or 4 inches of steel into a shark's eye or nose would hurt it more than merely punching it with your fist. Knives may offer some defence over smaller sharks provided your in a situation were you see the shark coming and you can arm yourself. I’ll relay a first hand account I had with a large shark to the best of my recollection and without exaggeration. I was still an apprentice, drove a pretty new 2Litre VW Combi and camped, surfed and fished up and down the east coast from Sydney every chance I got. Beloved wife was my girlfriend then and she used to surf too. We where camped on a headland a few hundred kilometres up the coast for a couple of weeks and I got to meet one of the local Professional Fishermen, older than us but a mad surfer too and we hit it off with him and his wife and spent time together. One night I went with him to set a drum line for sharks. The next morning we’d hooked One Big Mother Black Whaler nearly as big as his 14” tinny that we tail roped, unshackled from the drum and barely managed to drag the mile odd back to the beach the fishing boats launched from. We ran the tinny up the beach but Tarzan couldn’t have pulled this thing up the beach so we used the winch from the boathouse that was used to pull fishing boats out of the water to drag it up. It was a bloody monster out of the water and close up, about as round as a 44gal drum. It’s tail was about 4’ or more from tip to tip and it was still alive. This is about were most of you will switch off but I have no reason to lie. Murray wasn’t a small man and the 3 or 4lb axe wasn’t the sharpest but two forceful blows like you’d swing to split wood Did Not break the skin. The third blow did a little and the fourth actually buried the blade to some extent. The tip of a fillet knife would not penetrate the skin and when held at the sharks flank and hit with the palm of the other hand in an attempt to drive it in, flexed the blade and threatened to break it. We ended up using a bush saw to get under the skin. For sure. Especially the Wasp Injector. Even a conventional knife would be better than nothing in my book. Id just hate to be on the receiving end of an attack from any size shark. Interesting story. Must have been something to behold. Not at all. Well, I can only speak for myself and I for one wont accuse you of lying. Ive worked with (legal) ray leather for inserts in some of the sheaths, Ive made and the look on my face, when making the first cut in ray leather with a brand spanking new and sharp blade must have been comical. Knives just slides right through ordinary cow hide but with ray, you have to work at it. If shark is anything like that, I dont doubt your description at all. From what I understand, shark hide/skin is very tough indeed. Gator as well. Food for thought re using a knife on a sharks flank. Yes, it certainly was and unnecessary too. I should add that big sharks like that are not fit for human consumption and I’m fairly sure it’s because of the Mercury content. Anyhow, I was iffy at the time though I’m sure my mate knew this but it didn’t stop him cleverly taking fillets that looked like they came from smaller fish and making a pretty good earn for the morning. A bang stick or a powerhead will definitely save your life. Usually a spear is all you need to make a nosey shark leave you alone. If you stab them in the face a time or 2, it's rare that they get mad and keep messing with you. You're not their typical meal to begin with. When magnified it turns out shark skin, denticles, are made of rows of interlocked microscopic plates. The engineers and scientists want to make manmade materials that mimic them for better applications. Alright, so here is my next question: Except for the WASP knife, what would an "Anti Shark Knife" look like ? Some type of blade that can penetrate those scales. Except the belly of a shark which isn't as tough, any good strong pointed blade with no flex and some good force will penetrate the skin of a shark. I know normal fillet knives aren't that good on the skin. Once you have penetrated it, cutting it with a sharp knife isn't that hard. Re anti shark device, apart from penetrating the skin, it's also got to get to a vital organ - heart, liver and even liver might not stop it. They head butted each other then shark latched onto his arm so he punched it! Although most of us who worked on deck in the Navy carried knives we all considered us to be SOOL if we went overboard in shark waters. I had 1000+ hours on SCUBA, many shark dives included. As an underwater videographer, I always felt lucky just to see sharks. 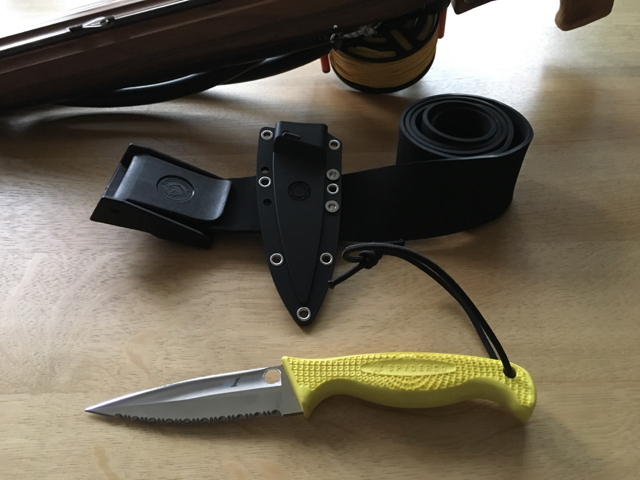 Never used my dive knife for defense, carried a VG 10 Endura many dives.SE for those interested, cut alot of plastic and lines( rope). Most attacks, the prey item never sees the appex predator! Facing down an overly interested shark, with blows to the head has been well documented, as best recourse. Thanks for the laughs here, but let's appreciate these amazing creatures by respecting the oceans. Like any great beast, we are fortunate to just see one in person. Sharks are a type of fish. Humans "hunt" fish and sometimes the opposite is true too. 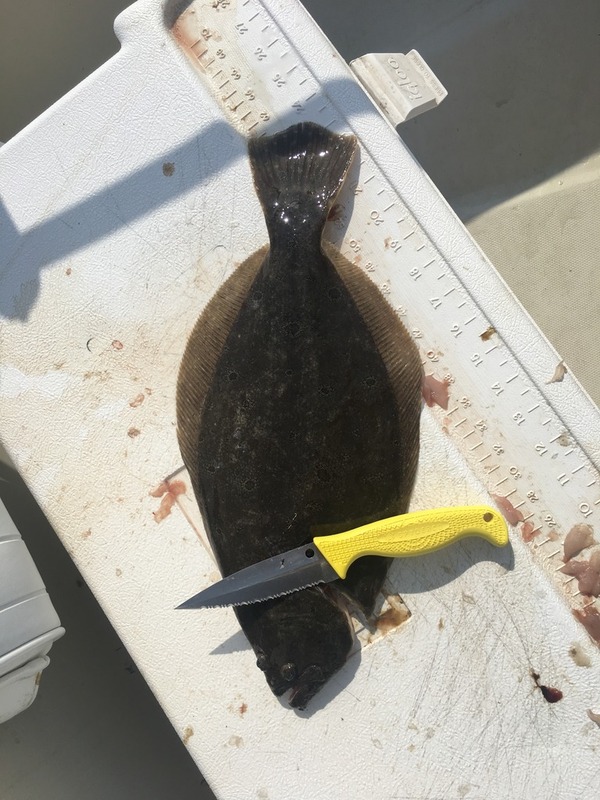 Thus, if I had to carry one Spyderco model able to kill, defend from, hunt, scare, deter or attack a fish, especially a big one, I'd take a big Spyderco with me, the aptly named "Fish Hunter"
I wouldnt know; I dont watch TV. 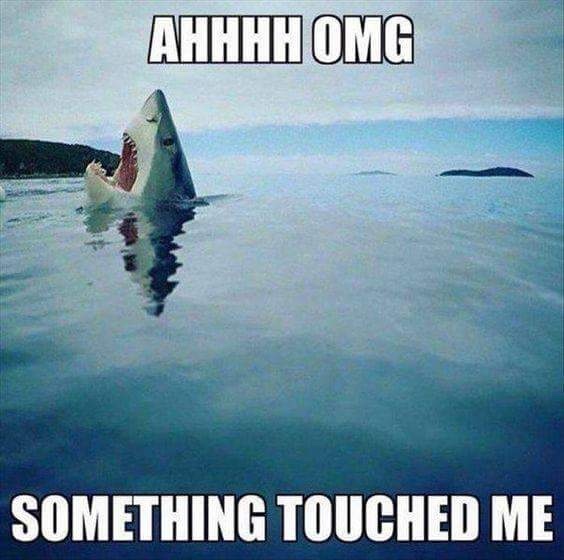 Personally, I wouldnt feel comfortable trying to punch an attacking shark be it small or big . Ill leave that to you. Should I be in such an unfortunate situation - and Ill try my best not to be - I believe, Id prefer a bangstick. This is a rather comical conversation, its almost like asking which handgun you should use to destroy a tank... I mean, you might get a lucky shot. lol. Up in Canada I'm convinced that if a Grizzly decides to eat you, its going to eat you. 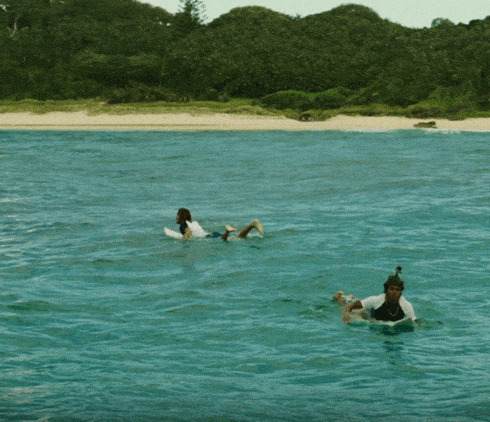 So to go into the water with a shark, if it takes a liking to you you're pretty defenseless. Your only real hope is that it doesn't like the taste of you.